The asteroid named 16 Psyche can devastate the world not by its capability to enter the atmosphere and cause apocalyptic impact, instead, it can leave Earth in ruins because of its mind-boggling value. Recent estimates of the price of the asteroid are roughly 10,000 quadrillion dollars. A person would wonder how the most expensive asteroid could do this damage to the global economy. Our present global economy is based on scarcity, commodity and stock prices such as gold and oil follow the law of supply and demand. Gold and other minerals are viable stores of values due to their rarity and difficulty to mine or mint. 16 Psyche is said to carry vast amounts of gold and other minerals in its surface that when extracted by advanced means, it could drive the present global economy into a downward spiral. An overabundance of gold means it would be basically priceless or cheap. So in a hypothetical scenario, let's say NASA recovered an alien asteroid mining spacecraft in 2018 and decided to reverse engineer the ship to mine the valuable pieces of asteroid 16 Psyche and bring it back to Earth, it would crash the world economy that is only worth trillions as of speaking. Its value expressed in $10,000 quadrillion dollars may get us back to the gold standard or send countries into economic turmoil because of a rough transition from fractional reserve banking back to a gold standard again. We are yet to develop a technology to mine asteroids in the vast cosmos. 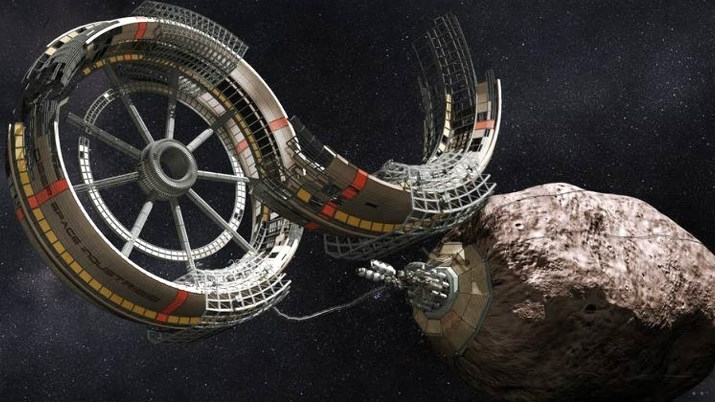 Asteroid mining is said to be the industry where the first batch of trillionaires would emerge. Cutting the cost of space exploration and developing more advanced rocket technology, guidance, and reentry systems would open the gates of the space mining industry. Apart from its estimated value, it is also one of the most interesting objects in the asteroid belt. According to astronomers, it is a deceased core or mantle of an unformed planet. Instead of drilling on our planet's mantle and core, this asteroid can become the subject of a study on how planets are formed.